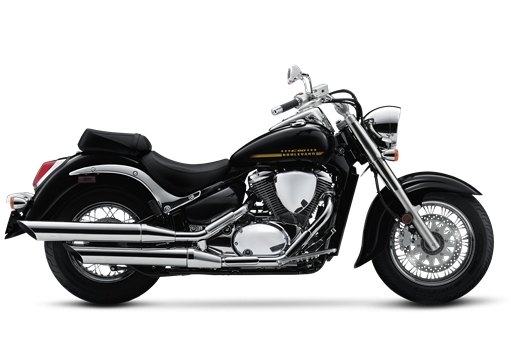 The Suzuki Boulevard C50 stamps a bold impression on traditional cruiser styling that includes kicked-out forks and a staggered, chromed dual-exhaust system, the Boulevard C50 turns heads wherever you ride. Its fuel-injected, 50-cubic-inch V-twin engine delivers abundant torque and is engineered for comfort. On the boulevard or the open highway, its spacious riding position and smooth suspension let you cruise comfortably all day long, while its rear suspension delivers the appearance of a classic hardtail.